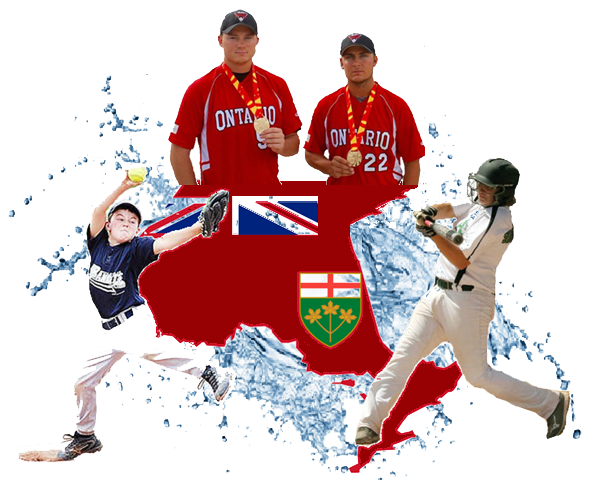 The Ontario Amateur Softball Association has set up a fund to receive donations that are used exclusively to recognize U19 Midget or U23 Junior players that have demonstrated a combination of athletic performance, academic proficiency and community service. Donations can be made at any time by sending a cheque, made payable to the OASA Scholarship Fund, to the OASA Treasurer. The OASA also sponsors the Jack Cook Classic (Masters) Tournament each year with all proceeds going to fund future scholarships. Justin lives in New Hamburg and played for the U23 Tavistock A’s during the 2017 season. He is currently attending the University of Waterloo where he is in his 2nd year studying Kinesiology. Justin has earned numerous academic recognitions through both high school as well as university. He was an Ontario Scholar, received an award for the highest academic achievement in Exercise Science and Biology Subjects and was recognized with the Betty Albrecht Memorial Award for ‘behind the scenes leadership’ in 2015. In his first year at Waterloo he was on the Dean’s Honour List and received the President’s Scholarship of Distinction. Justin has played ball for Tavistock for years. In 2016 he was recognized as the All Star Utility Player at the U23 Canadian championships. He was recognized as the tournament MVP at the Eastern Canadian championships in 2013 where his Tavistock A’s took home the Gold. In 2012 he was a member of the Gold medal winning team in the Ontario Summer Games. He has been a consistent helper over the past several years at the annual Cephas Roth Memorial Tournament in Tavistock. Justin’s goal is to become an athletic trainer, physiotherapist, massage therapist or strength and conditioning coach to help young athletes. To that end in the fall of 2017 he will be a Student Strength and Conditioning Coach for the University of Waterloo Warriors working with various varsity athletes and teams. Riley comes from Roblin, just north of Napanee, and in 2017 he played for the Napanee Express U19 Midget team. 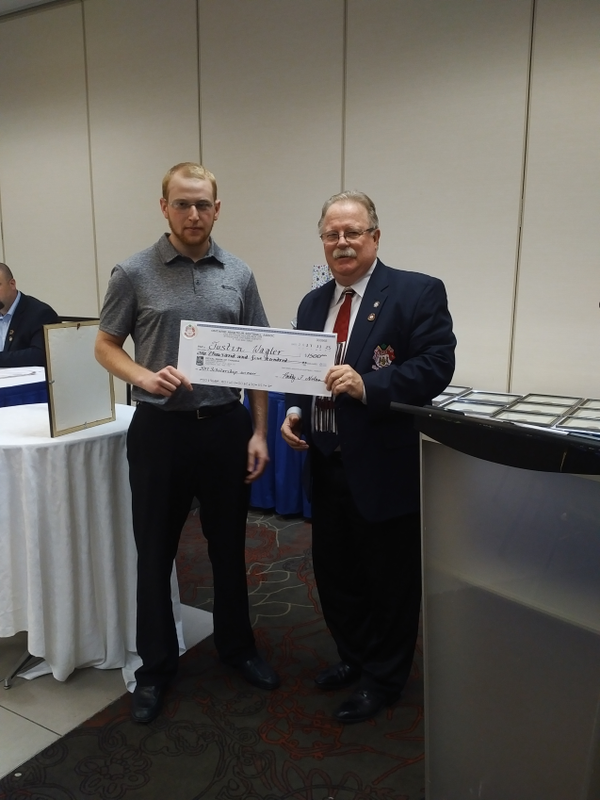 He graduated from Napanee District Secondary School and is currently attending St. Lawrence College in Kingston where he is enrolled in the Ontario Youth Apprenticeship Program working towards becoming an electrician. Riley has had success throughout high school being recognized through the Senior Welding Award, Certificate of Proficiency in Healthy Active Living and the Hawks Have Character Award for Responsibility. 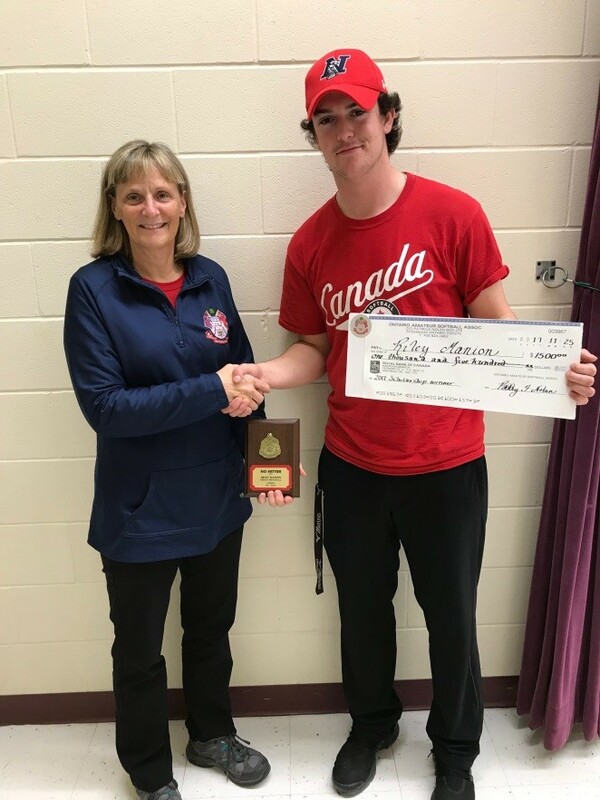 On the ball diamond Riley has most recently been selected to the 2018 Junior Men’s National Team after leading his Napanee Express U19 team to a silver medal at the Canadians where he struck out 99 opponents over 50 innings. He has twice been recognized as the Most Valuable Pitcher in OASA Eliminations, receiving the U16 Gil Read Pitching Award in 2015 and the U19 Barry Ellerbeck Pitching Award in 2017. He has thrown 4 no hitters including ones in 2015 and 2017. Noteworthy team accomplishments have been winning silver at the 2017 U18 OASA eliminations and winning bronze at the 2016 U19 Canadians with the Campbellford Cougars. In addition to playing for Napanee Riley has worked with younger players at local pitching clinics to help them develop their skills. Off the diamond Riley has played competitive hockey over the years including Junior C for the Napanee Raiders in 2016 and 2017. He has led drills and skills activities for younger players in the Napanee Crunch Hockey Association for several years too. Outside of sports Riley has volunteered at the local food bank and annual Santa Claus parade. Congratulations to these well deserving scholarship recipients.